Ready to indulge every weekend? 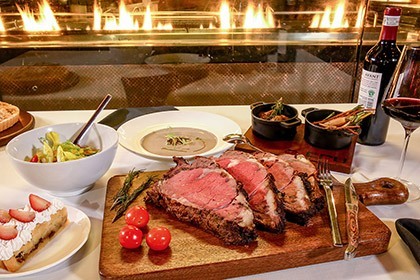 For P1,300, you can eat ~*unlimited steaks*~ at Cru Steakhouse in Marriott Manila every Sunday! Aside from the steak-all-you-can, the meal also comes with two side dishes, a starter, and a slice of apple pie. Yum! Unlimited Steak at Cru Steakhouse will be available from 11:30 a.m. to 2:30 p.m. every Sunday.